Aston Martin launched its smallest model ever a few months ago, that was the Cygnet. 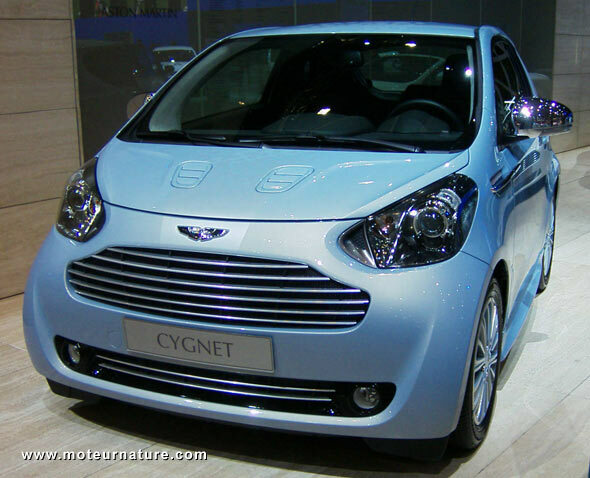 Not a true Aston Martin, the Cygnet is based on the Toyota Iq. Yet it’s totally redone, and much better than what it was when it had the Toyota badge. Of course, when the 2 cars are next to each other, you see they share a lot of things, but when the Aston Martin Cygnet is alone, it truly stands out, with its own personality. Its interior is particularly nice, but Aston Martin doesn’t change anything on the mechanical side. The powertrain is stock Toyota (a 1.3-liter inline four making 98-hp), and I guess it’s fine that way, that engine is smooth. But Toyota is working on an electric drivetrain for its Iq. It should be available sometimes next year. Aston Martin has confirmed it wants it too. So we might get ready for an electric Cygnet, which shall come a couple months after the Toyota is launched. But don’t expect an electric motor in a real Aston Martin anytime soon. The Cygnet isn’t a Aston Martin, it would be even less so with an electric motor.